State-run telecom operator, BSNL, has been expanding its 4G footprint across the country. Last week, the telco had announced the launch of its high-speed 4G services in 25 towns of Telangana circle. Alongside Telangana, BSNL is already providing 4G in 11 districts of Andhra Pradesh state as well. In Telangana, BSNL has launched 4G in districts like Adilabad, Karimnagar, Khammam, Medak and so on. Sadly, BSNL did not announce the launch of 4G services in Hyderabad city which is one of the popular cities in India. Hopefully, the government-owned PSU launches 4G in Hyderabad city as well very soon. Earlier, BSNL 4G is available in circles such as Kerala, Chennai, Gujarat, Karnataka and others. Besides these circles, BSNL is testing the fourth generation network services in various parts of the country. Once the telco gets the required spectrum from the government, it will commercially launch 4G across all the circles where it’s operating right now. As noted, BSNL has launched 4G services in 25 towns in Telangana state. The list of towns include Adilabad, Asifabad, Manchiryal, Peddapalli, Bhadrachalam, Khammam, Kothagudem, Wyra, Gadwal, Jadcherla, Nagar Kurnool, Shadnagar, Wanaparthy, Kandi, Sangareddy, Bhuvanagiri, Miryalaguda, Nagarjuna Sagar, Suryapeta, Bansawada, Eturunagaram, Mangapet, Medaram, Rajupeta and Tadvai. Bhadrachalam, which is one of the busiest towns has got BSNL 4G services ahead of other popular ones. In Hyderabad, BSNL is expected to launch 4G once the telco receives additional spectrum from the government. According to the information we have, BSNL is providing 4G in Telangana circle via 219 sites (approx.) out of 409 sites it has in total. As mentioned above, BSNL also providing 4G services in 11 districts in Andhra Pradesh state through 117 towers. These districts include Chittoor, Cuddapah, Guntur, Krishna, Kurnool, Prakasam, Srikakulam, Vishakapatanam and Vizianagaram. 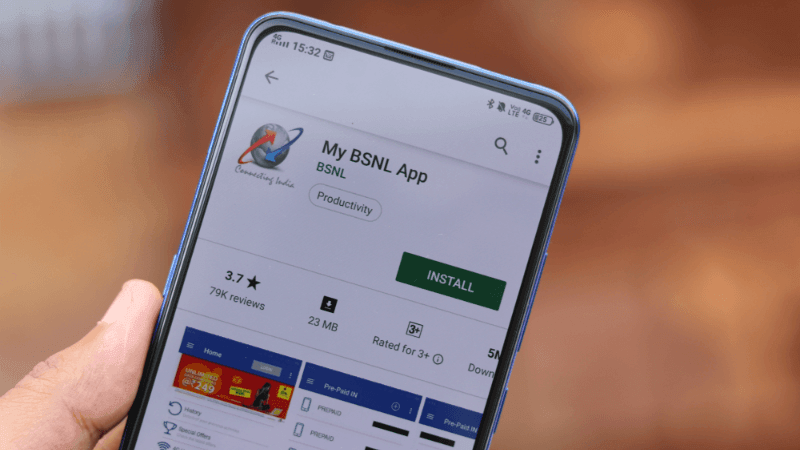 BSNL is also expected to expand 4G services to other parts of Andhra Pradesh & Telangana once it gets the required spectrum from the Indian government. BSNL is planning to roll out 4G services with the help of 500 telecom circles. To give a brief idea on BSNL 4G, the telco has been offering high-speed internet services in Kerala circle for nearly a year now. In Kerala state, almost all the towns are 4G ready on BSNL network. For the unaware, Kerala is the biggest and revenue generating circle for BSNL which is the reason why it’s testing 4G services for a while now. Also, BSNL is providing VoLTE (Voice over LTE) services in some circles too. Last week, we reported about BSNL’s VoLTE services being made available to users in Gandhidham and Anjar towns of Gujarat telecom circle. So it’s evident that the telco will also provide VoLTE services in 4G enabled circles. Jio speed @ 12:30 A.M in Delhi. Device: iPhone SE which doesn’t support CA. 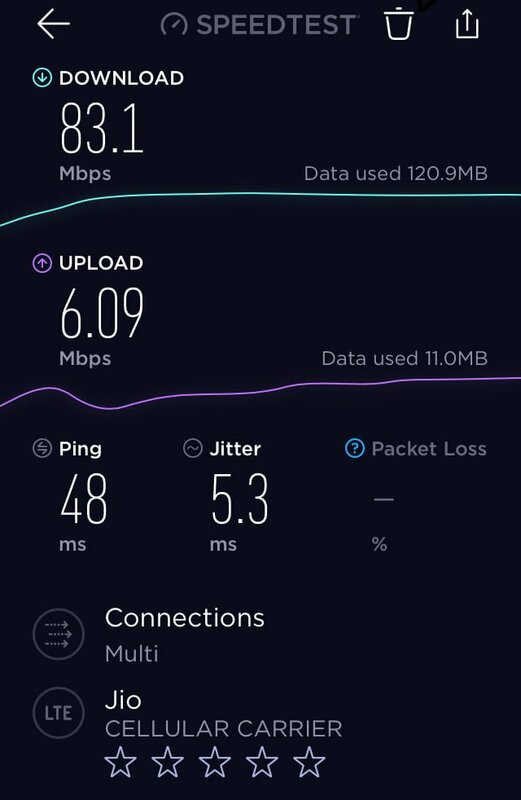 Speeds during during the day don’t drop below 20 Mbps.